Budget your money and always follow-up each month to see how much you actually spent. It’s great if you say you’d like to spend $50 or $100 on dining out but when you realize you’re spending $200, well, then you need to look at your habits. Finance isn’t just about where your money goes, it’s how you choose to allocate and spend it. Each month do a quick review then adjust your behavior and budget accordingly. Worst Financial Move Ever:One month I was terribly sloppy moving money around between financial institutions and didn’t even realize I was making a transfer out of the wrong account. I accidentally overdrew something like $2,000 dollars and had an overdraft fee from my credit card. Instead of calling the bank and explaining (my checking account had plenty of money to cover the transfer) I decided to keep the finance charge as a reminder to myself. The little details should never be overlooked. My short term investments. I’m a fan of risk and I have some cash but I really don’t know what all my options are. I feel like I could sit down and spend a few hours learning about some investing options but I have no way of knowing that time will be well spent. I’d hate to end up looking into so many options and then realize I could’ve done just as well dumping my cash into an index fund or even a money market account. What personal finance tools do you currently use to track and manage your money?I’ve used Microsoft Money for many years. I remember my Dad using it when I was younger and I decided to start tracking my own finances in high school. It was a challenge because I was trying to keep track of cash. 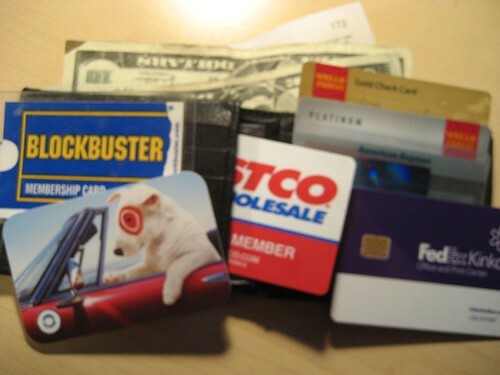 Then I was given my allowance in a Visa Buxx card so I could to download and categorize transactions. A few years later I realized Microsoft Money wasn’t keeping up with the times so I painlessly switched to Quicken and couldn’t be happier. Reports, bills, paychecks, taxes: they can all be tracked really easily. I still feel like I spend a lot of time trying to figure out the story of where my money goes but it definitely gives me a good idea. Reports are not always telling me what I need. There are so many in the same category it’s not clear what the differences are, either. I’m very limited to certain categories—and only one per transition. One deposit at the bank cannot be split into multiple payees which is annoying if I want to deposit two checks. Plus, my budget tool doesn’t help me look at previous transactions to determine future budgets very well. Instead of having to log into my multiple financial institutions online there would be a centralized site that would allow me to make transfers, stock purchases, etc. all from one portal. I’d be able to consolidate and split up transactions by category, payee, account, etc. Of course I could then bring it all back together. I’d also have it look at my spending habits and start to come up with some general ‘rules’ that can help me with an outlook and budget. It could also contextually recognize that I’m spending a lot of money on Chick-Fil-A and could go to Safeway and purchase this chicken with this recipe and make it at home. If payments needed to be made to a credit card it would even automatically take care of those things and send me email and phone alerts ‘Would you like to pay tomorrow’s bill now? Reply ‘Y’ or ‘N’ to remind again later). Money isn’t everything but it helps you get through life. Money won’t make me happy but without a strong grasp of where it is and what I can do with it I would be very upset and frustrated. My finances dictate what it is I can do (eating, luxuries, entertainment, etc.) and I really want to understand it to enjoy some things to their fullest. About $80 every month. I definitely set up alerts and break it down into weekly limits for myself. I should go grocery shopping more but food is health enough and convenient that I can justify it most of the time. At the minimum, on a weekly basis. I like to at least check up on things every other day. Look for irregularities, make sure checks go through, etc.